Review: Following releases from Huerta, Mandar and Makcim & Levi last year, Oscillat kicks off 2019 with an assured, brooding club 12" from long-serving producer Matthew Dekay. Since surfacing in 2001, Dutch producer Dekay has put out a formidable body of work under a variety of aliases and in collaboration with producers including Lee Burridge and Maher Daniel. His sultry tech house approach has graced labels as highly regarded as Innervisions, Cecille, Aras and Maeve, and now he comes to Oscillat with "Spellbound," a track that finds him diving deeper than ever before into hypnotic, swinging rhythms loaded with atmosphere and longing. On the B side, Oscillat bosses Mandar (Lazare Hoche, Malin Genie and Samuel Andre Madsen) take Dekay's original and inject it with an infectious peak time energy, creating a straight-up, acid-flecked workout that sits in neat contrast with the immersive shuffle of the original. Review: Minimal house supergroup Mandar have been on a roll since they launched Oscillat back in 2014, but this release ranks among their highlights to date. The dream team of Lazare Hoche, Malin Genie and S.A.M originally released "Poisoned Words" as the B side to their String Theory 12" in May 2018, and now they revisit the track with a double dose of remixes from none other than Ricardo Villalobos. The minimal overlord lives up to expectations on both flips of the original track, finding a singular voice within the context of minimal techno, needling into the tiniest sonic details and holding down an insistent groove that will sit beautifully in the mix. 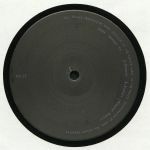 The A side features a simmering version that revels in wriggling sound design with ample space to flex and mutate, while the B side stretches out into a quintessential Villalobos wormhole of a remix. Unmissable sonics from one of the scene's true legends. 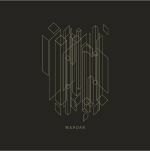 Review: The ever-essential deep house super group Mandar make the leap to an album in fine style after a few years of unbeatable EPs on their own Oscillat Music label and elsewhere. 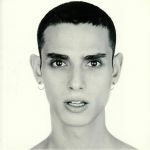 The self-titled LP is spread across a whopping five 12"s, but it gives latecomers a chance to catch up on some of their previous smashers such as "La Bocca" and "Delon" as well as presenting some fresh wares from the joint creative forces of Lazare Hoche, Malin Genie and Samuel Andre Madsen. The grooves bump just right, the moods unfurl like toffee-flavoured smoke and with these 12 jams Mandar prove once again why they're at the top of the deep house game. Review: Oscillat Music is back with the mighty Danish Producer, Kasper Marott. Review: In just a few years Noha has made a sizable impact on the contemporary tech house scene. As well as being at the helm of Nabuco Records and Panick Panick! alongside Alex Tea, he's also released a huge swathe of records on labels such as Nilla, Constant Black, Tartouffe and Point Of View. It's not hard to see why the Oscillat crew invited him to their label - his sleek and instinctive sound is a perfect fit for the subliminal house ops the Parisian imprint is best known for. "Nobody" shimmers with invention, marked out by bold, emotive synth strokes and a nagging, subtly swung groove. Oscillat bosses Mandar then take the original right down into a pristine dubbed-out mantra that gets under your skin effortlessly. It's the kind of classy execution Mandar are known for, and best of all it keeps the essence of the soul-stirring original intact in the process.